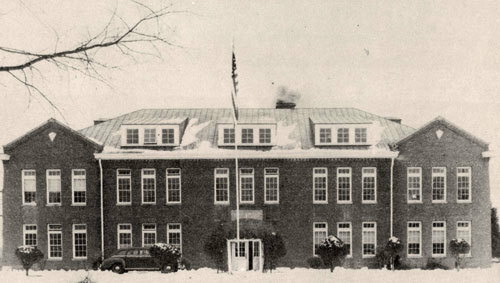 “Manassas Industrial School, circa 1940,” braddockheritage.org/, accessed April 24, 2019, http://braddockheritage.org/items/show/166. Jennie Dean, born a slave in Prince William County, founded the Manassas Industrial School for Colored Youth in 1894. Originally a private boarding school, it was a segregated regional high school for African Americans between 1938 and 1966. Students came from the area north of the Rappahannock River, providing their own transportation or boarding on campus during the week. Students followed academic subjects and skilled trade courses. Manassas Museum photos are copyrighted and for use only with permission of the Museum.